FPB High-Speed Internet, Telephone, Metro E, Security and Electric. The Frankfort Plant Board is a provider of Metro Ethernet (Metro E) for businesses and individuals which require dedicated fiber connections with higher than normal upload/download internet speeds. 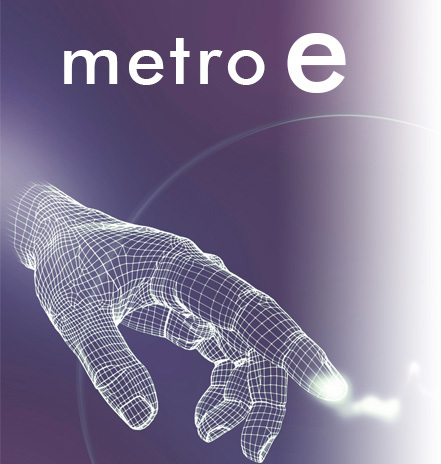 Metro E can connect local businesses, corporations, academic institutions and government agencies to other branch campuses or offices in other areas of the region. FPB Metro E is a high capacity data service that is a fiber-optic based product and does not require any additional equipment purchases. Users will have static IP addresses and 15 E-mail accounts. FPB Engineering and IT consultation is a necessary step in Metro E service preparation and delivery. Please allow five business days for return information after initial contact with FPB. For more information on FPB Metro E click the button below and fill out the short form. An FPB representative will contact you shortly. *Subject to Acceptable Use Policy. Click here to view the policy. FPB Security offers a free, no commitment inspection and consultation for your business. FPB's Security Representatives will provide you with a quote and recommendations at no cost to you. Please call 502-352-4324 to schedule a consultation or for more information on business security rates. *Monthly fee does not include installation. Click here for Federal and State incentives designed to help businesses manage their utilities.